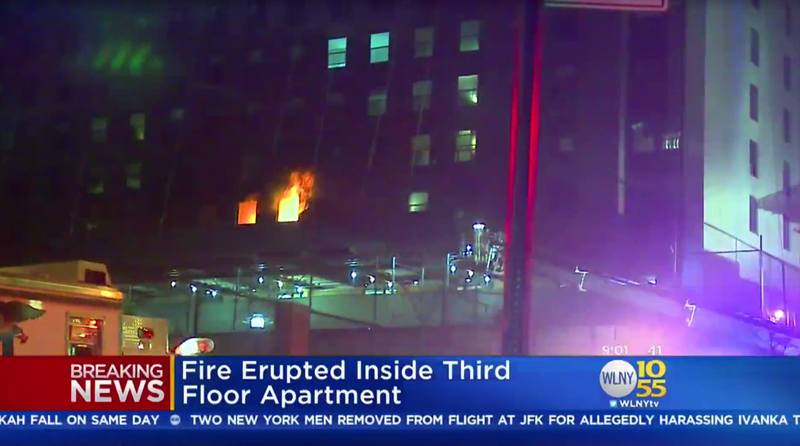 NEW YORK-- Some 26 people, including four firefighters, were injured in a fire at a high-rise building on Manhattan’s Upper West Side. Residents were trapped on a roof and others were stuck inside by the four-alarm blaze, CBS New York reports. The fire started around 4:55 p.m. Thursday and was declared under control three hours later. Chief of Department James Leonard said there was a heavy fire on the third floor which incinerated a one bedroom apartment. Leonard said the fire left 22 civilians injured, two critically, authorities said. A 7-year-old who was in cardiac arrest on the 21st floor was safe and alert thanks to civilians who performed CPR before firefighters arrived. Four firefighters suffered non-life-threatening injuries, officials added. Some residents and concerned relatives sent frantic tweets as they waited for word that help was on the way. Leonard said that 9 people became trapped on the roof, they were in no danger and were safely removed. A final search of the building found a number of people sheltered in place.